Before starting a software development project, there are some decisions you need to take. One of the decisions will be deciding on the right issue tracking tool, which is often referred to bug tracking tool. Once you have made that decision, you will have better flexibility when building a software. There is a general impression that bug tracking is only required during the development of a software application but that is not correct. Bugs can appear while designing, writing specifications or during architectural decision making. This is where issue tracking tools help you track and uncover those bugs, just like those that exist in the actual software code. Tracking issues early is also the cheapest way to find and fix bugs as the costs increase towards the end of the project. When choosing an issue tracking tool, the first feature to assess is the dashboard as it will be where you can see a snapshot of the project. It must be a customizable board that includes options for charts, texts, and displays that can give an insight on your issues. The dashboard will display the issues that are assigned to you, and issues that are solved and sorted based on their status, for example, ‘Fixed’, ‘New’, ‘Closed’, etc. You must have the ability to attach files to the issues. This feature is required by both testers and developers for reporting and then updating bug reports. It is useful if you can attach screenshots of the bug or save a short video for demonstrating the process of reproducing the defect. It also saves time for other team members who view your bug report, as it will give them faster access to the information. Some tools allow you to drag and drop images on to the issue you create, which also makes file attachment a lot easier. Searching for the reported issues then customizing the search results are some of the most useful features that you will need in your issue tracking software. This feature helps you find the issues based on your search terms. For example, you may want to search for all the bug reports assigned to a developer or you may want to look for a particular group of bugs, and so on. This feature helps you to set query filters so you can customize your report with a set of columns, allowing you to view the information in the best way for you. The save report setting feature helps you to create quick reports and save them all. You can just select the report you need and click on it to display. This means you don’t have to create a report from scratch if you make any mistakes or if your machine malfunctions. Email notification really comes in handy and this should be another feature to look for when selecting issue tracking software. It will be helpful to notify your team members with an email whenever you update the issues. It also improves communication between the members who can then respond quickly to the bugs that have been assigned to them. You should also consider whether the tool supports in-app push notifications so you can be informed as soon as something needs your attention. The core feature of an issue tracking tool is its ability to manage the defect life cycle efficiently. The better the process flow, the more efficient the bug life cycle will be, and this will allow you to manage your software and release much better. Being able to manage your software projects using agile methodologies such as Scrum, Kanban, etc. is another important feature that you need to look out for in issue tracking tools. Most modern issue tracking tools support agile practices and methods, and the tools should be good enough to support multiple projects of varying methodologies. For example, in some of your projects, you may be working with Scrum, and some other projects will be using CMMI, so your tools should be flexible enough to support these different variants running on it. This will be another important feature you should be checking out in your potential candidate for an issue tracking tool. Can your tool of choice integrate with other development tools? For instance, can you integrate with your source control, i.e., SVN or Git? Or can you integrate your tool with your test management tool, for example, Testlink or TestLodge? Will you also be able to integrate other functional automation tools or load testing tools? The more your tool supports these integrations, the better the efficiency of your software development life cycle will be. Nowadays, modern issue tracking tools provide native app support on various mobile platforms such as iOS and Android, so you can easily track issues and collaborate with team members on the fly. Last not the least; most software teams favor cloud-based issue tracking tools which have the benefit of giving you zero percent downtime. Tools hosted locally on your dedicated servers can go down for maintenance, and that might cause delays in your software development. So cloud-based tools can be given preference for better performance and maintainability. These are the main features that you need to have in your issue tracking tool. It is essential to choose a tool that has all the above features to help minimise probable issues in your project. 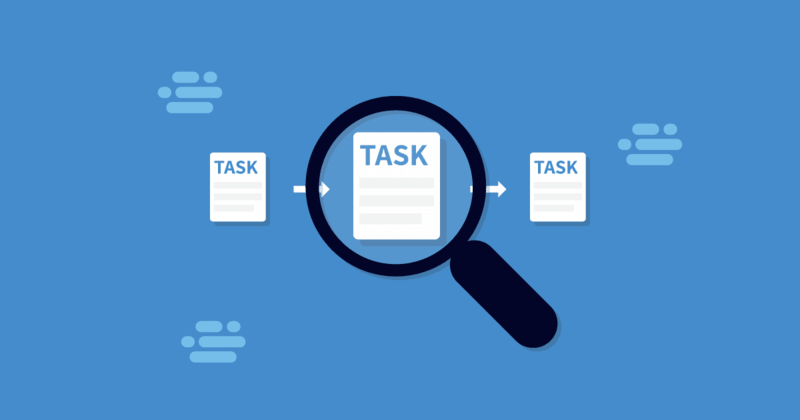 To sum up, the issue tracking tool should help you manage your project easily and more efficiently. Now that you know what features to look out for, you might like to read our list of the Best Issue Tracking Tools available. With so many bug tracking tools to choose from, we've reviewed and provided our list of the top issue tracking tools which are currently available.